I know lots of folks are wishing for a little summer at this point and time. Finally, here in Florida, it has gotten a little more Florida-like but it looks as though there is no relief in sight to our north. Spring will be very welcome to all of our friends and relatives in the northern climes! 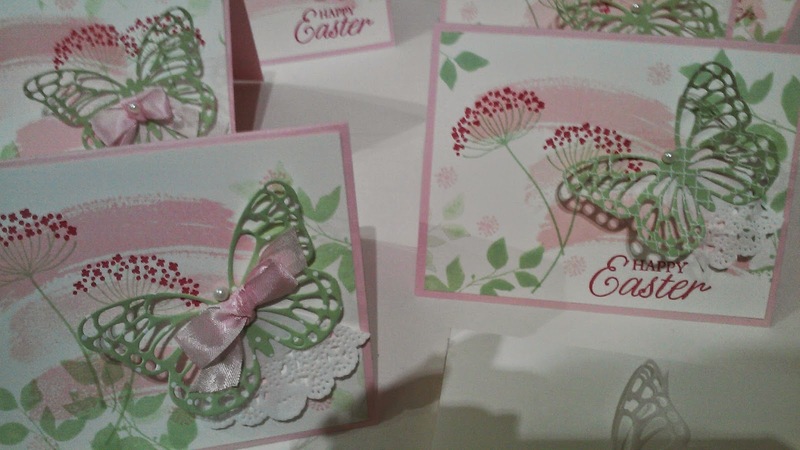 This past Monday we had two fun card making classes at the Gallery, where we created a pretty Easter card and a fun birthday card. 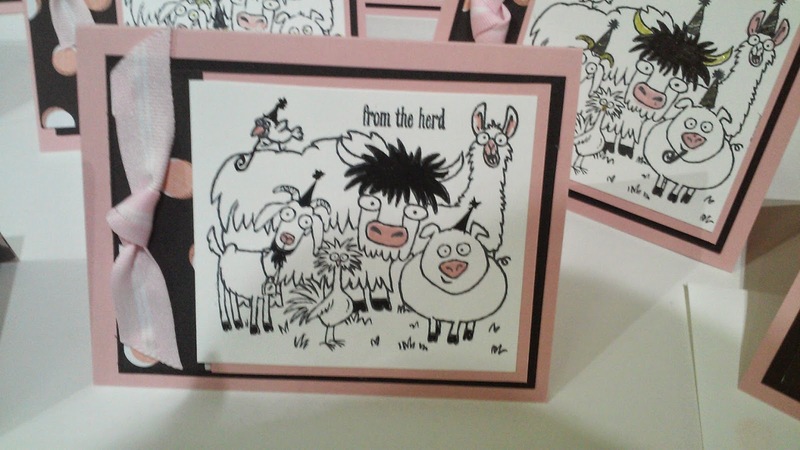 Though the Easter card is my creation, the From the Herd card is from my friend and fellow Demo, Linda Williamson. 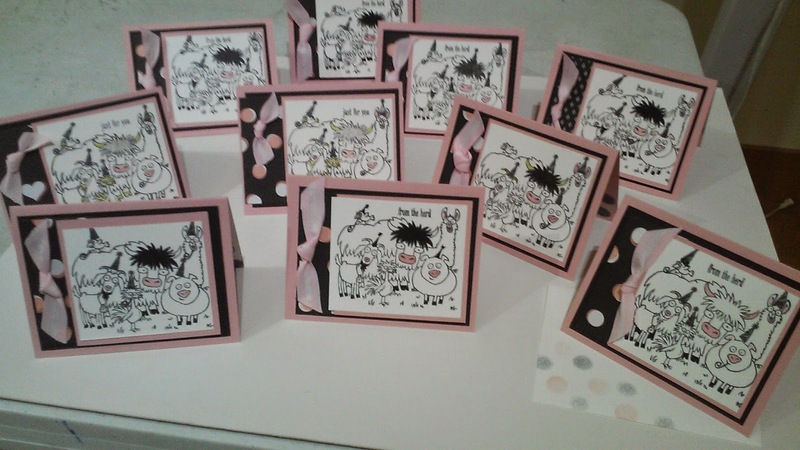 I had made two of these cards back a few months, laboriously water coloring all of the cute creatures. When I saw Linda's creation it was like "Eureka"! So clean and cute, with just enough color to make the images "pop"! Thank you, Linda!! See the supply list used to create the cards at the bottom of the post. Also watch for an exciting post about 4 more more free Sale-A-Bration products that will be added for the month of March! I can't wait to get them!! (Click on the photos to enlarge them. How cute are these?????? Notice the bit of Stacked With Love Designer Papers on the left hand side? I just love the expressions and they make e giggle every time I look at them!! Pretty and ready for spring, don't you think? We have found the perfect way to get those pesky small bits out of intricate framelits. We placed a portion of a used dryer sheet on the cutting plate, and then we layered the DSP or Cardstock, then a piece of parchment, the framelit and then the second cutting plate. Voila!! Nothing stuck in the framelit AND all of the pesky bits just fell out! 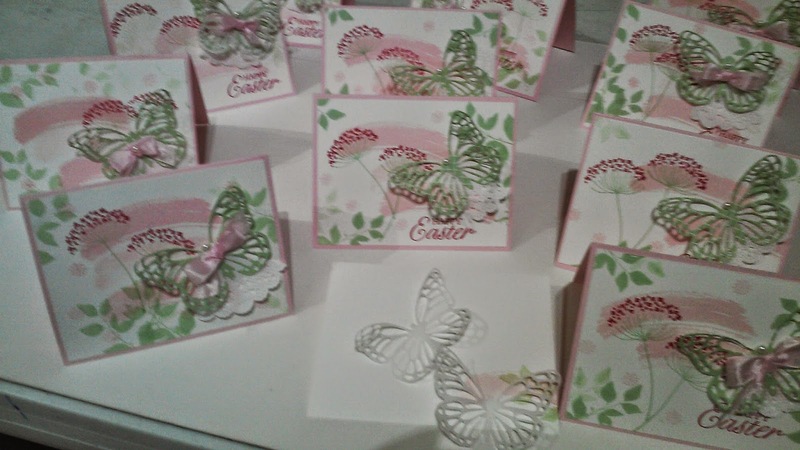 This also left us with a pretty parchment butterfly image that can be stapled to the original for even more whimsy! Several of my very multi-talented stampers shared projects with us. 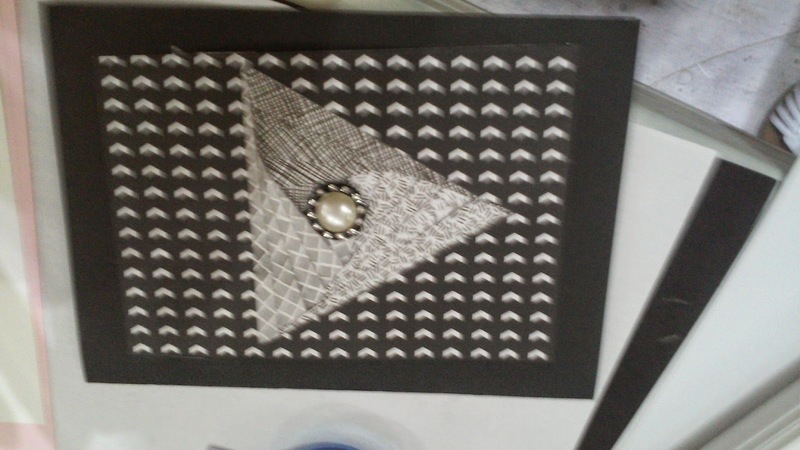 Sharon brought a beautiful card with a beautifully layered origami center. 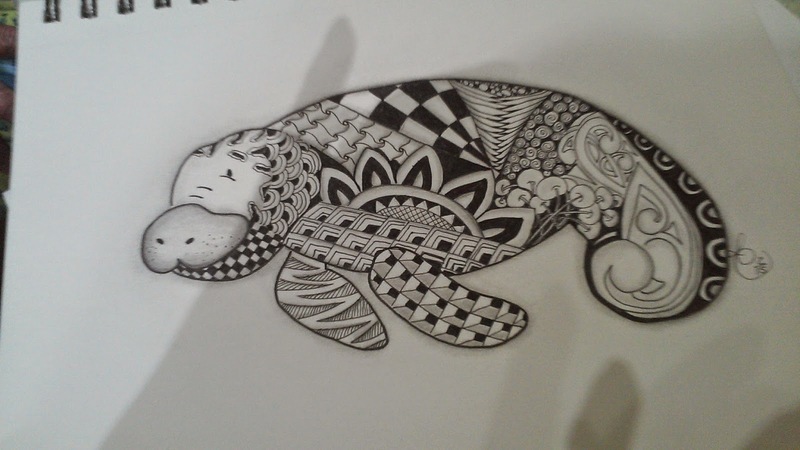 I'm sorry that my photography did not do it justice! I love black and white and this card is so incredibly elegant. Good job, Sharon! Loved both cards. The tip for using dryer sheets when cutting on the Big Shot will come in handy. Now I have to buy dryer sheets! Thanks, Joan! Remind me and I'll save some for you! !